the Pump Motor. This starter Kit sends error SMS to users for any fault generation at motor side. Auto / Manual Switch : One can put device in auto or manual mode by pressing switch. Current Status: One can put know current status of Pump set by sending one SMS. Power monitoring: Device continuously monitors the main power and sends feedback message in case of any power failure & power failure re-store. Pump Dry run Protection : In case of Pump dry run, the starter get’s trip & device will send error message to last interacted user. Vermi compost Beds made out of HDPE fabrics 340GSM. 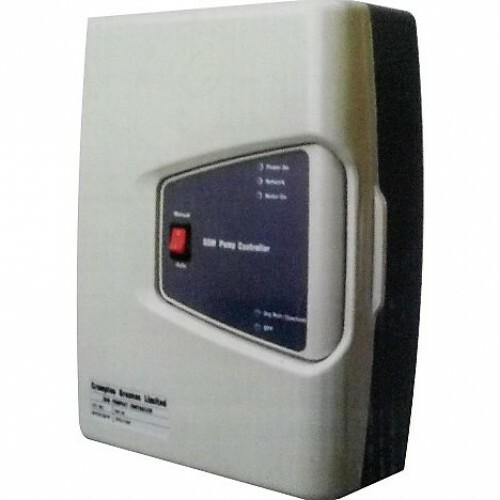 Size – Gross – 12X4X2 feets these beds have 16 p..
Crompton 3PH Dol Starter CG1D60100STARTERS (3 PHASE D. O. L.)Relay Range : 6 to 10 AUseful for..
Crompton 3PH Dol Starter CG1D90140STARTERS (3 PHASE D. O. L.)Relay Range : 9 to 14 AUseful for..
Crompton_3PH_Dol_Starter_CG1D130220STARTERS (3 PHASE D. O. L.)Relay Range : 6 to 10 AUseful fo..
Crompton Greaves Mini Samudra I (1HP)Mini Samundra is surely a technological marvel With path-breaki..
CROMPTON GREAVES - MINI SAFFHIRE 0.5 HP ) Self Priming PumpNOTE: Please note that as the materi..